We reverse signs of aging and skin imperfections and give you the confidence to flaunt your skin! We will customize an easy treatment plan for you. Have your friends wondering why you look so great. The process of aging on our skin isn't fair. We should be able to look as good as we feel. How did I go from Anesthesiologist to Aesthetics? It wasn’t that I wanted “out of anesthesia- I loved it. But as the years marched on I didn’t like what I was seeing in the mirror. I felt like there had to be something I could do to combat the relentless aging process without having to resort to surgery or other drastic measures. The realm of aesthetics was becoming more medical, less invasive, safer, more comfortable and most importantly to me, more effective….but the options were overwhelming and I didn’t know what worked and what didn’t. Over several years I wasted a LOT of money on expensive but completely ineffective treatments. As a busy, working mother I just didn’t have the time to figure it all out. It was frustrating. I eventually realized that if an M.D. couldn’t sort out what worked versus what was hype, then how much more frustrated must the non-medical person be? Several years ago I dedicated myself to researching aesthetic medicine and anti-aging science to find the safest, most comfortable, most effective and best value options for skin and bring them all to Fort Worth. I started a new aesthetic laser practice (Skin Deep Laser MD) where I could safely offer the medical, more effective aspects of "med-spas" in a safe environment. I hope to start changing the industry to keep patients safe while we all benefit from advancing technology. You will look natural: you, but younger, fresher, more relaxed….not like a plastic doll. Most comfortable! Whoever said “Beauty is Pain” was a masochist! Recent advances in medical technology means trading comfort for beauty is ancient history. No down-time (or very minimal down-time): we take a safe, comfortable “progressive” rather than “aggressive” approach so you slowly but surely keep looking better and better! Best Value in Ft. Worth: the best technology means more effective, more comfortable, quicker results with fewer treatments needed- meaning you spend less money for better results! "They are at an easy, great location, clean, beautiful facility with a professional skin doctor onsite." "I’ve had lip injections twice with Dr. Riehm and could not be happier!" "Incredible knowledge, customer service, and exceptional environment. They are personable and speak with kindness." 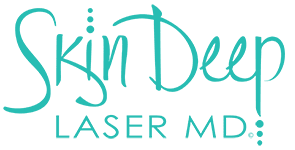 "Every single time I walk in to Skin Deep Laser MD, I'm treated with the utmost respect and care." "Staff was nice and knowledgeable. Made me very comfortable about an issue that has troubled me until now. Would highly recommend to anyone." For all your aesthetic needs, trust Dr. Riehm at her practice, Skin Deep Laser MD, located in Fort Worth, Texas. 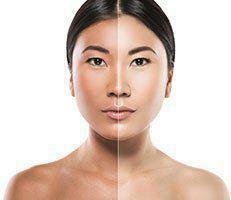 Skin Deep Laser MD specializes in noninvasive and minimally invasive skin and body treatments that require no downtime. You experience improved skin tone, texture, and vibrancy, as well as an overall more youthful appearance. 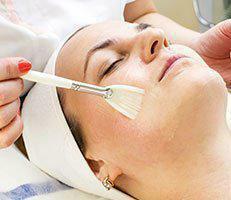 Skin Deep Laser MD offers treatments that include skin rejuvenation and ways to reduce acne scars and sun damage. 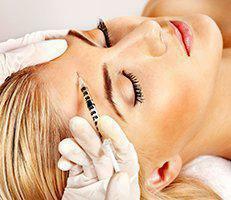 You can elect to undergo expertly applied Botox® and dermal filler injections to reduce the appearance of wrinkles, fine lines, and sagging skin. If you have tattoos that you regret, Dr. Riehm and her team oversee their removal with lasers. Unwanted hair growth can also be permanently reduced or halted with the use of state-of-the-art laser technology. 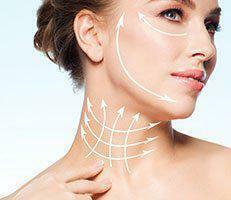 All treatments at Skin Deep Laser MD are FDA-cleared and use the most up-to-date equipment. m personal, thorough attention and quality service at a lower cost than most other local providers. Your appointment time is reserved exclusively for you. In order to ensure that all of our patients are able to schedule appointments and receive the best standard of care, we require a $50 deposit to schedule an initial consultation, applicable towards any service or product. We understand that you are busy, and that life happens. Should you need to cancel or reschedule your appointment, please notify us as soon as possible. Cancelling within 24 hours or no-shows risk losing the appointment deposit. Scheduling an appointment is your acceptance of these policies. Thank you for your cooperation! You wish Cupid would shoot you a new Cupid’s bow for Valentine’s Day: plump, juicy, and kissable. If you’re looking to reshape and plump up your lips in time for the most romantic day of the year, there’s a new dermal filler made just for you.